Financial support from the Belgian French speaking community ARC project n°15/20-072 is acknowledged. The Université Saint-Louis Bruxelles, Belgium is organizing a conference aiming to bring together financial economists from academia, central banks and research institutions to investigate the new challenges for central bank communication in the ten years since the start of the financial crisis and discuss the avenues of research in this regard. The authors of the accepted papers will be notified by November 22nd 2018. Session Chairs: Kris Boudt, Matthias Neuenkirch, Stefano Nardelli. Scholarships are available for the conference fee for PhD students. If you want to apply, please send also a resume and a cover letter. 19h30 Social Diner at « La Rose Blanche », Grand-Place, Brussels. Brussels is very easy to get to. And as in most large cities, as you might expect, it is easy to get around on public transport, by bicycle or on foot. Brussels is a city that you can live in, explore and enjoy without a car! The university is ideally located in the centre of the city with several railway stations within easy reach. It is also located halfway between two of the city’s main public transport stations, Botanique, and Rogier, which offer convenient metro, tram and bus access to and across the entire city. 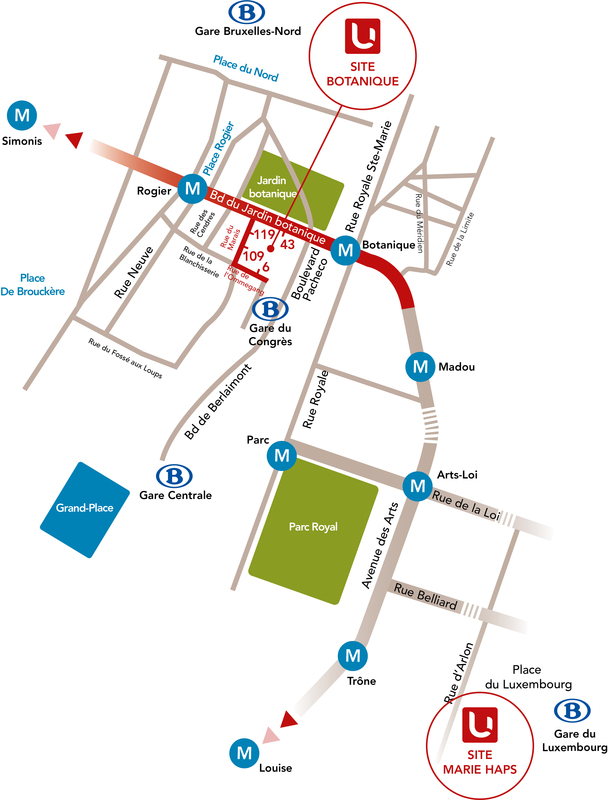 As a rough guide, the Gare Centrale railway station is located less than 20 minutes away on foot, the Gare du Nord can be reached in 10 minutes on foot and the Gare du Congrès is a just a short distance away on the same metro line as the Gare du Midi (the Gare du Midi is about 10 minutes away on tram).